The most advanced technology ensured that we can offer you our products with guarantee of highest quality. Our personal is always at your disposal to propose solution and alternatives suited to your requirements and needs. 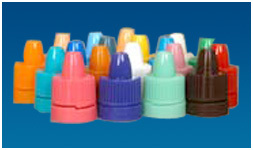 We have a large selection of plastic bottles and bottles caps. The company has also capable of one colour printing using Hi-tech computerized Screen Printing machines and UV inks with care and Pharma requirements. 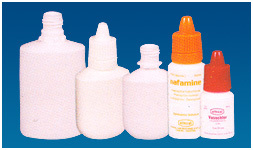 Also competent to Gamma Irradiated Bottles supply. 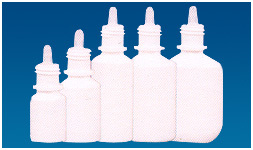 We The Company currently producing 5ml, 10ml, 15ml, 30ml (round) and 25ml (oval) Eye, Ear, Nasal Dropper / Spray Bottles, Nozzles, Capillaries and Pilfer Proof Caps. 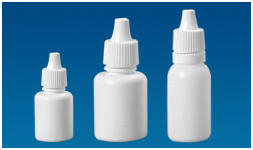 We The Company also producing 5ml, 10ml, 15ml, 30ml (round) and 25ml (oval) Eye, Ear, Nasal Dropper / Spray Bottles, Nozzles, Capillaries and Pilfer Proof Caps, We have caps of Different sizes and colors as per company requirements. Innovative products sometimes demand for different production technologies. As a complete system provider we know the technologies and can combine them and choose the ideal method. We build blow moulds and produce on state of the art machines. Leak Proof & Pilfer proof cap, Colour Selection of your choice: Transparent, White or any other colour. Available in 5ml, 10ml, 15ml, & 30ml capacity. 30ml Nasal Drop in Oval Shape. Good ideas and the right know-how can be of vital importance for a cost effective production. 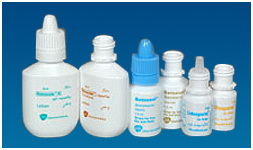 We produce bottles for different companies with care and Pharma requirements.